Unique, proprietary plate process ensures long life. A Slyver-Clad retention system delivers longer life and trouble free performance. A corrosion proof, baked-on epoxy tray finish ensures that the V-Line will look as good as it works for the life of the battery. Flat-plate technology assures consistent capacity throughout the life of the battery. 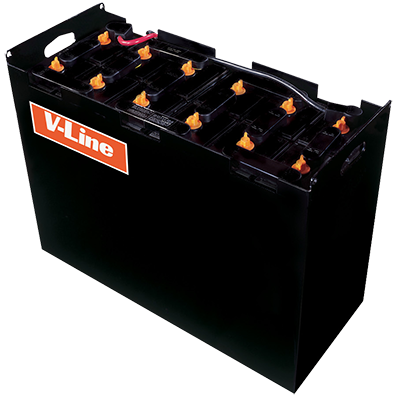 The V-Line’s tapered grid design maximizes cross-sectional area for greater current handling capability, higher battery capacity and maximum capacity. Our unique plate support system and highly effective sediment notches combine to increase reliability and long life.